Established in 2001, Club Renaissance Spa in Mumbai is spread in 3,550 sq ft, which includes six spa treatment rooms, Jacuzzi, steam rooms and Relaxation areas. Health and Wellness is now an important part of one's life and as more and more people are realizing the importance of taking care of their body and skin, the spa therapies are gaining momentum. Husnavaz Dastur, Spa Manager, Renaissance Mumbai Convention Centre Hotel has shared her insight on spa business and its scope in Mumbai city. She also shared details of her company’s policies and procedures to recruit the staff and strategy to increase footfall in the spa etc. 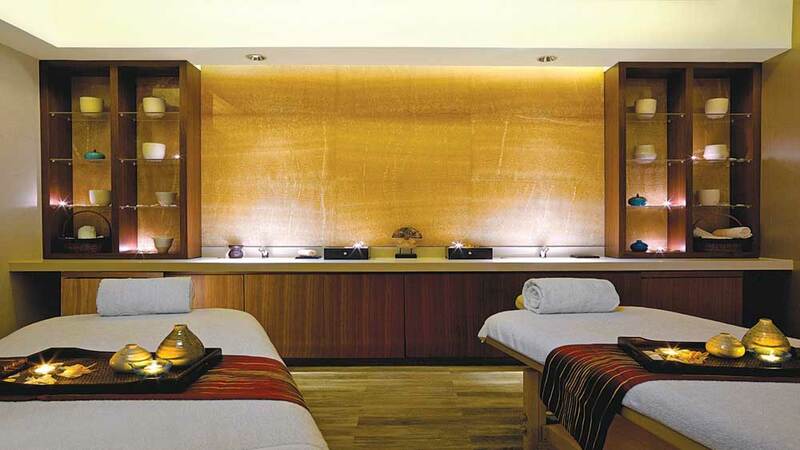 Spa Business is flourishing in the city Mumbai. As the market is growing with new Spa trends and International news the media is playing an important role in promoting spa operations. Men and Women are now interested in taking various massages which are now endorsed as an important regime with Health and fitness benefits. Improved blood circulation, anti-aging benefits and also prevention of body aches and pains give a new turn to the wellness programs. We also have Doctors who visit our spa as they are well aware of the Health benefits of spa treatments. Corporate guests after work visit our spa for complete relaxation benefits. The new role of Spa shall be soul Healing sessions with Chakra Balancing, Angel card reading counseling and Healing. As guests come to unwind and De stress in the Spa we would like to take them to another world where they can experience peace and soul healing. Counseling sessions which are still unique for the Indian market are introduced as they help in complete relaxation of the mind, body and soul. The market is very competitive in the spa business. There are many standalone Branded spas, which are now entering the market. We being a Hotel Spa the clientele are different and more guests who stay in our Hotels come to visit and use our Spa facilities. We also have Club Renaissance and Wellness Programs which endorse a complete Health and Wellness program. Our Health Club Members also enjoy our Spa treatments and also local Powai guests visit our spa therapists for regular treatments. We also have Spa and Salon packages which we up sell to our corporate guests with our Health Club Memberships. Renaissance Mumbai Convention Centre Hotel is situated in unique greenery surroundings which makes it a perfect Club Renaissance resort spa. We have one of the best swimming pool and gymnasium for our guests which are our unique selling point. We have Day use Memberships which our local guests could visit us and also enjoy a spa treatment, Jacuzzi, swimming pool and gymnasium. We also have Aura Salon which has Hair and Beauty care. Club Renaissance has 6 therapy treatment rooms which include and Ayurveda treatment room and also a couple treatment rooms. We also have Aura Salon which specially caters to Hair services and advanced skin care treatments like facials & beauty treatments like Hair spa consultation services. Club Renaissance Spa has foot reflexology and advance body treatments like Body toning and firming treatments which are anti-aging and detoxifying. Sea weed wraps, neem cool wraps and different luxury back facial therapies are also included in our skincare Menu. We have a Menu which covers all therapies from Thai massages, hot stone therapy, Herbal pouch therapy to Indian treatments like Shirodhara, Abhyanga. We have International guests who visit us for our spa treatments as our Renaissance spa has the Indian traditional touch with the Ambience and the feel. We have in house promotion campaigns on Facebook and Internal media with special offers for our guests. We also offer corporates special discounts. We promote seasonal spa offers to our guests. We have Gift vouchers and also have Superior room Spa packages which are promoted with the room bookings. Club Renaissance Health Club Members and Club Marriott have special 50% discount voucher offers to experience our spa therapies. Renaissance Spa has treatments ranging from INR 3500 which are 30 minutes short treatments especially for Back and foot massages. The pricing is competitive as per the market survey with our competitive five star Hotels in the vicinity. We also have luxurious Day spa packages where our guests can enjoy longer 3 hrs plus duration spa treatments. Club Renaissance Spa has lot of experienced spa therapists who have been giving spa treatments. They are trained certified and experienced. We also conduct trainings regularly with Spa experts when we introduce new therapies in the Spa. Staff selection is handled by our management, keeping in mind the practical test and also the certification. I also ensure that the therapist is passionate about her work while selecting the candidate. Spa therapies are always evolving and I am an Angel card reader and Healer. I believe in giving soul therapy to our guests as the future is in providing not only physical therapies but also Healing mind sessions through Angel card reading Therapy. Guests who have experienced my chakra healing sessions and removal of negativity healing sessions have always appreciated the combination with Spa treatments.Reiki healing, Angel therapy, crystal therapy goes a long way in helping the spa experience. The unconventional approach which is recently introduced at the Renaissance Spa is the future of therapy. Fast pace growth of fitness industry..